This vegetarian entrée salad features fiber-rich brown rice, protein-packed edamame, and a rainbow of vegetables seasoned with a nutty, flavorful Asian dressing. 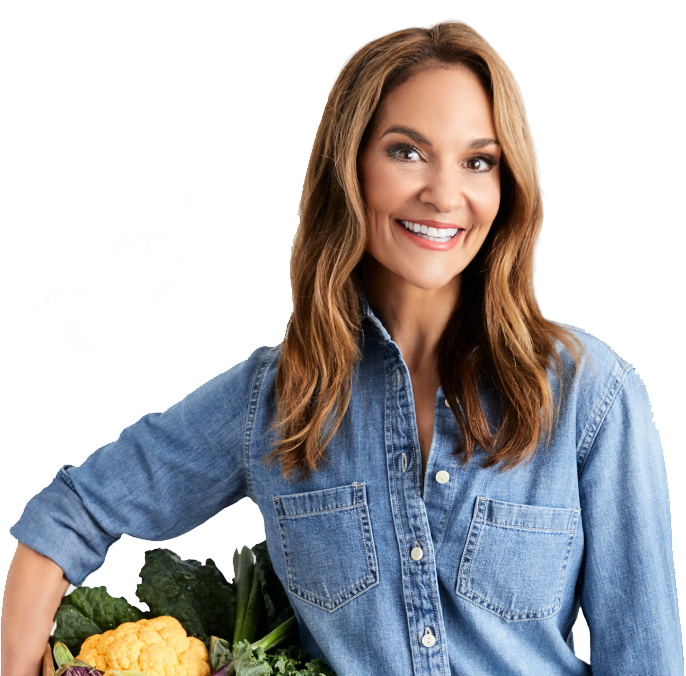 You’d be hard-pressed to find a salad that squeezes more nutrition into a single bowl! Fill a medium saucepan with water and bring to a boil. Add the frozen edamame and cook for 3 minutes. Drain and rinse with cold water; cool to room temperature. 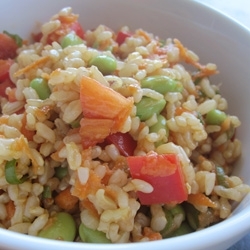 In a large bowl, combine the edamame, rice, bell pepper, carrot, and scallions. In a small bowl, prepare the dressing. Whisk together the lime juice, soy sauce, vinegar, sesame oil, and sriracha. Pour the dressing over the salad and stir to coat the ingredients evenly with the dressing. Serve at room temperature or chilled.